If you’re a flea, you’re probably pretty happy right now. A warm winter snuck by with little distraction, temperatures are rising and rain in many parts of the country have all but put a welcome mat out for you. Records fell in 2015, but not in our favor. 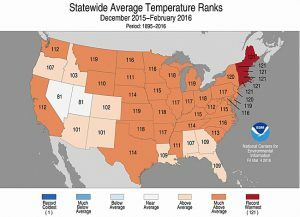 The contiguous U.S. recorded the warmest December-February temperatures ever by more than 4.5 degrees, according to the NOAA’s February 2016 U.S. State of the Climate report, and New Englanders felt it the most with all six states in that region recording their warmest winter in 121 years of record-keeping. As fleas cannot survive exposure to temperatures below 30.2 degrees Fahrenheit for more than 5 days in a row, warmer temperatures mean longer lifespans for these pesky parasites. And with the Summer Solstice looming, temperatures will only continue to rise. Heavy Springtime rains and flooding in many parts of the country mean humidity will also be rampant. Fleas thrive in temperatures ranging from 65-85 degrees with 70-80% humidity, making conditions a grand slam for flea reproduction this summer. Knowing that the table is set for a major flea infestation, prevention is key and as easy as 1-2-3. 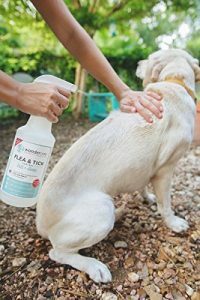 As fleas and other pests originate in the outdoor environment, the key to successful prevention and elimination starts at the source. Keep grass and bushes well maintained and trimmed and remove leaves and other organic build-up (fleas love the shade and leaves make the perfect home!) 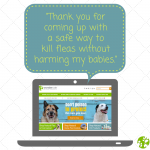 Treat your yard with Flea & Tick Control for Yard + Garden to wipe out all stages of the lifecycle. 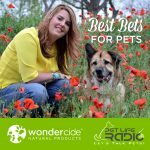 Keep your furry friends protected naturally with Wondercide Flea & Tick Control for Pets + Home. The topical spray can be applied before your pet enters an untreated area such dog parks and wooded trails, or as a contact kill, knocking out anything that may have hitched a ride on your pet. Dealing with an indoor flea infestation is both frustrating and daunting. Don’t let these little buggers get you down–keep them out with Wondercide Flea & Tick Control for Pets + Home! That’s right, the same product you use to protect your pets can also be used to create a barrier of entry in your home. Quarterly maintenance helps protect the ones you love year-round. 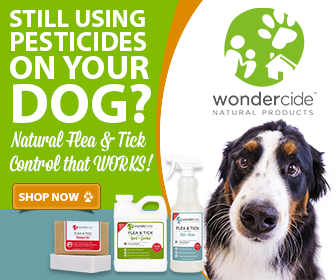 Although fleas are expected to be rampant this summer, you can stay ahead of the problem with Wondercide. You might even find that you save over $600 in the process.